See our Acuter shop for full range of Acuter products. 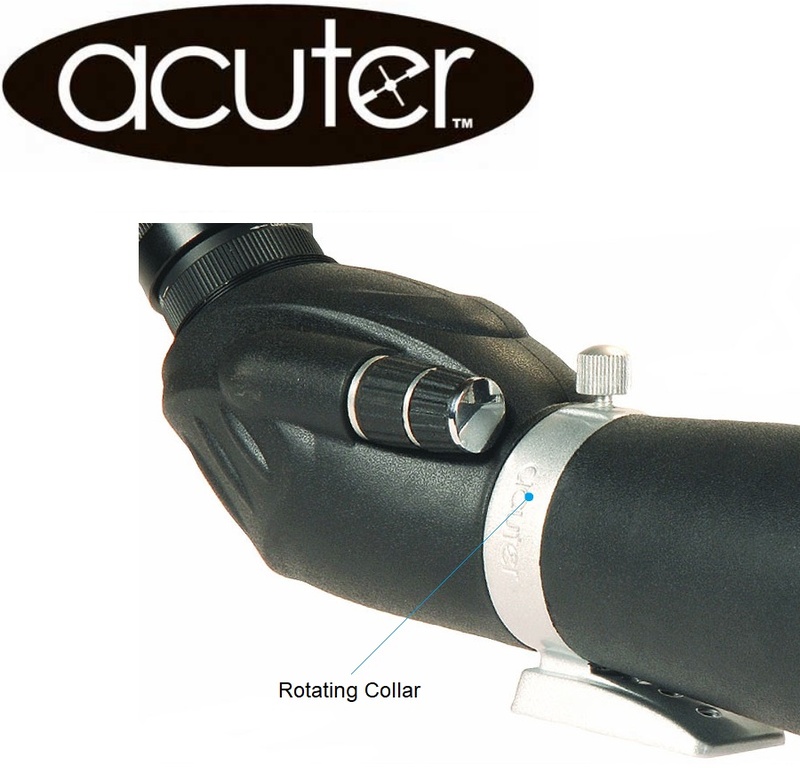 The new Acuter GrandVista ED series advanced apochromatic waterproof spotting scopes are exceptionally stylish and highly functional precision optical instruments. 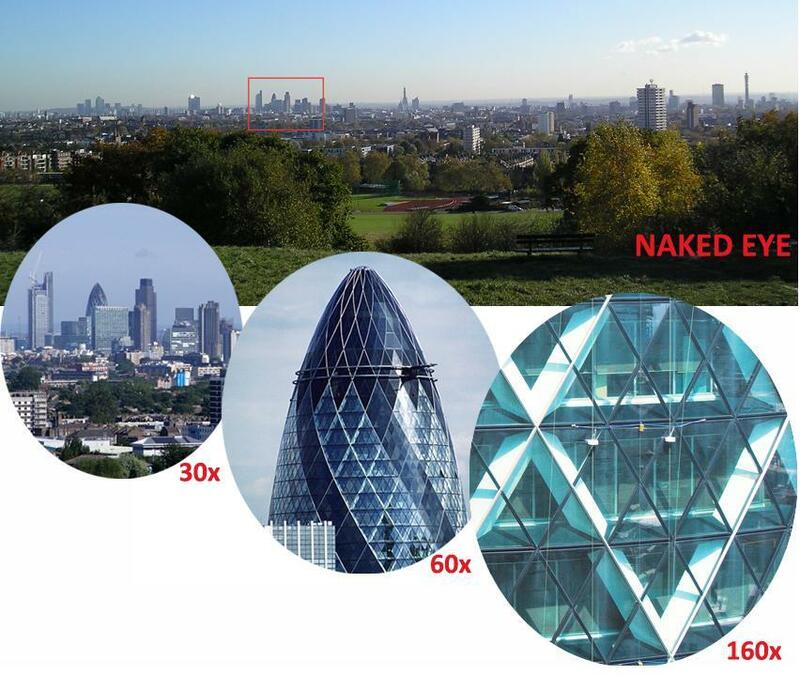 The Extra Low Dispersion (ED) glass utilised in its construction ensures superb colour fidelity and high contrast views virtually free from chromatic aberrations. Acuter DS PRO DS 20-60x80 Angled Spotting Scope with its 20mm eye relief is a good option for people who might be glass wearers. 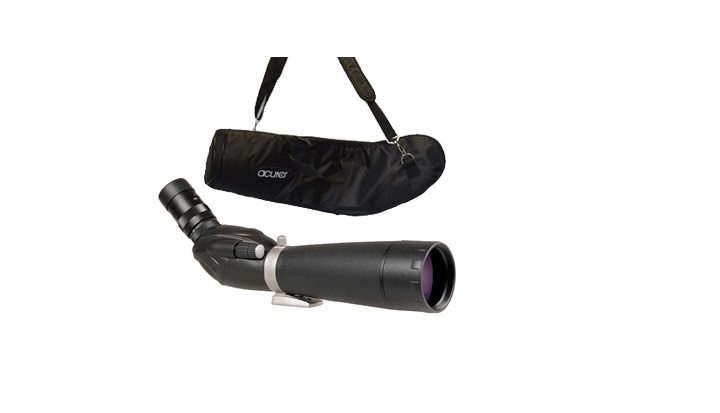 The DS80A-ED is supplied with a standard zoom eye piece of 8-24mm (20x - 60x ) but can be used with virtually any standard 1.25" push-fit telescope eyepiece for exceptional versatility. The spotting scope can be fully rotated in its collar to change the orientation of the eyepiece. Fully multi-coated Optics. 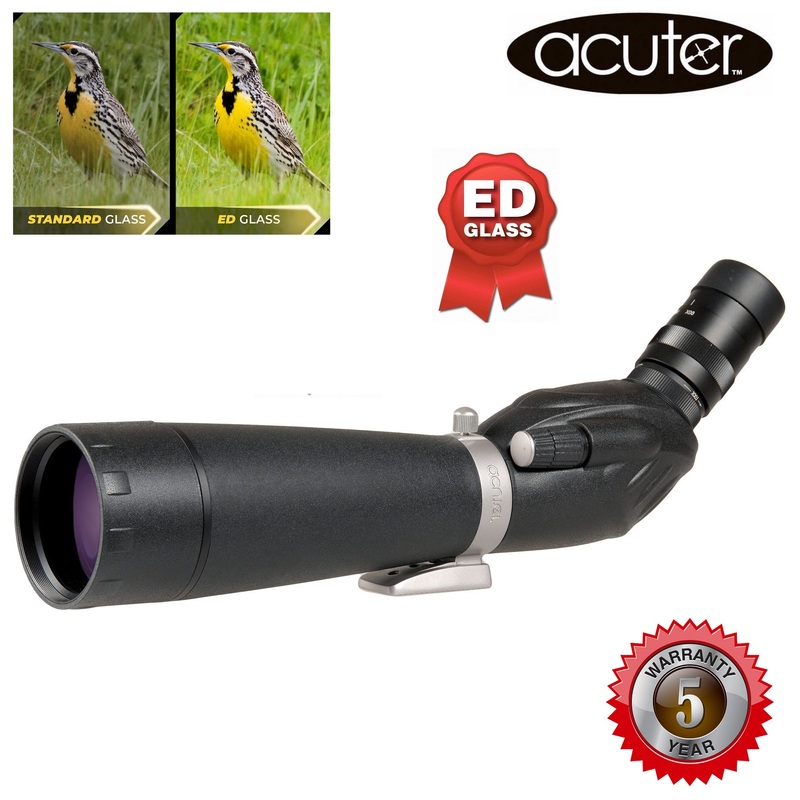 For more information about, Acuter GrandVisa DS PRO DS 20-60x80 Angled ED WP Spotting Scope website. Excellent optics and well made construction material. Very helpfull dealler service with reasonable prices thank you!